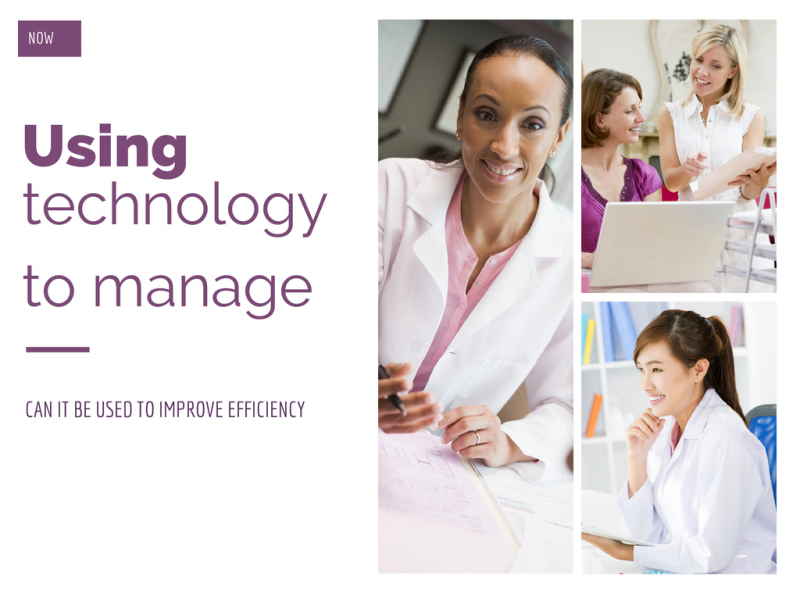 Using Technology to Manage Your Practice Part 2 – The Official Kalix Blog. This is part 2 in a series of blogs that explore the ins and outs of using technology in private practice setting. It is based my experience working in private practice, as well as the lessons learned while starting my own business, Kalix. What solutions are there out there? But first a short disclaimer; I am not associated with any of the solutions listed (except for Kalix that is). This post is not meant to be a complete list. It just contains options I like. If you are looking to implementing a new technology or solution, investigate and evaluate the different options available first. See my previous blog for things to consider. 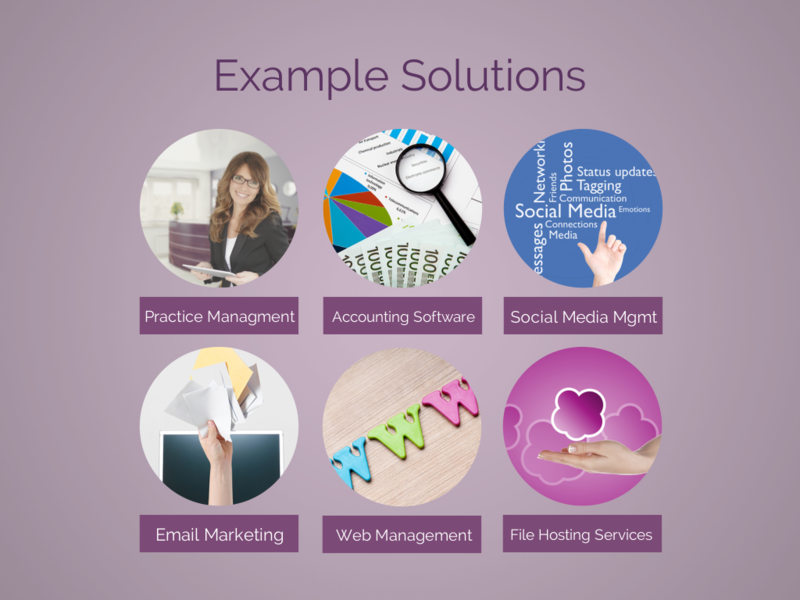 Practice management solutions assist with the management of the day-to-day tasks and operations a private practice. 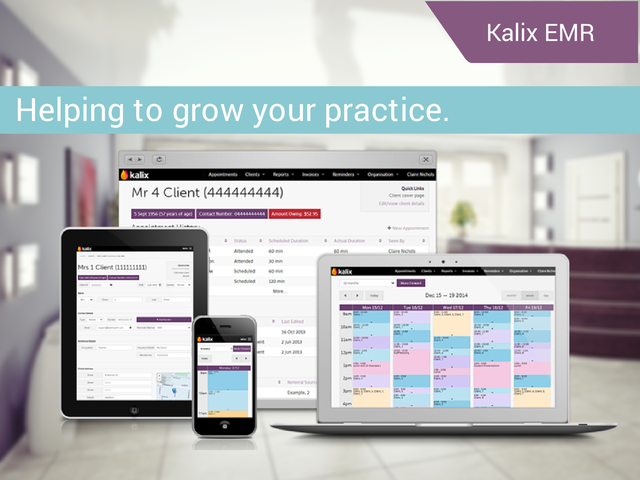 Kalix is a HIPAA compliant, cloud-based EMR and practice management solution for diettians and allied health professionals. It has range of features including scheduling, automated reminders, client management, electronic documentation, configurable templates, billing and payments. Accounting software are applications that record and manage accounting transactions, invoicing, bank reconciliation bookkeeping and other functionality. Create connections with other health professionals e.g. for referral sources, partnerships and collaborations. The key phase here is “if used properly”… just participating in social media does not guarantee any of the above. Social media can easily turn into a time consuming, ineffective and even expensive (if using paid ads) exercise…but the purpose of this blog isn’t to discuss the pros and cons of using social media… or how to achieve success in social media…Technology can help you to achieve success and make your efforts more efficient and effective. Schedules posts in advance for Tweets, Facebook, Google+ and LinkedIn. Post to all medium simultaneously. Monitor conversations and engagement. Free plan. Very similar to Hootesuite, but shares posts to different social media sthrough the day rather than all at once. Suggests relevant “trending” content and images for Facebook posts. Provides status updates ideas. Schedules Facebook posts ahead of time. Management tool for Twitter. Allows the management of multiple accounts in one interface. Schedules Tweets in advance. Tracks specified topics, hashtags and sends alerts. Allows the filtering of your feed. An analytics tool to see info about how many users are viewing and interacting with your tweet. Solutions to send bulk email messages to a subscriber list, they are often used to send electronic newsletters and special offers. Note: despite being a widely used practice, in many countries, it is illegal to send direct email marketing messages without prior consent (Australia – Spam Act 2003, Canada – CASL, and Europe- EU Opt-In Directive). The United States is an exception to this. Email marketing service to send email newsletters, manage subscriber lists, and track campaign performance. Free plan. An alternative to Mailchimp, similar functionality. This web development platform allows users to design their own website using templates and drag and drop tools (it’s really easy to use). Websites are mobile friendly, come with search engine optimization (SEO), social plug-ins (links in with social media accounts), e-commerce (online stores), contact forms, blogs and community forums. Wix offers free website hosting. You can also purchase your own personalized domain name through Wix (a personalized web address e.g. www.mypracticename.com). Wix is also partnered with Google to provide personalized email (e.g. name@mypracticename.com) via Google Apps. Internet domain registrar and web and email hosting company. Use to register your personalized domain and email address. Can purchase .com.au and .net.au addresses, which are not available though Wix. An e-commerce platform to create online stores. Provides email (Gmail), online storage (Google Drive), online calendars (Google calendar) and other tools. An advantage of choosing Google (for those who live in the USA) is HIPAA compliance. You must sign a Business Associate Agreement (BAA) with Google, for HIPAA compliance to apply to you. BAAs are only offered to Google App customers with an administrator account click here for details. Allows access to files and documents over the internet from different computers, tablets and smart phones. Unfortunately, many regular file hosting services (e.g. Dropbox, iCloud), do not have the level of security required to meet the health information security and privacy requirements (e.g. HITECH and HIPAA). For this reason, Kalix offers free unlimited file storage. Store unlimited documents against client files, as well as generally against your Kalix account e.g. for client handouts, marketing material. Well, that’s about all for now…I hope you find this info useful. Remember, if you are looking at implementing a new technology or solution, investigate and evaluate the different options available first. The clever use of technology can make the difference between having an effective and profitable practice and running one that isn’t… Technology can assist a practice to become more efficient, through automation and the removal of unprofitable and wasted time. But, use technology smartly.